5. This dress from ModCloth's new Retro Honor Roll Collection. I love the plain colour and I am imagining all kinds of fun colour combinations I could make with it! 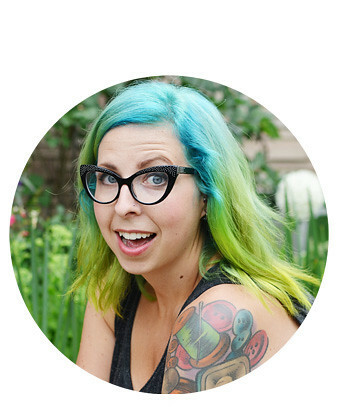 Midge is totally adorable, has an awesome name annnnd awesome glasses. So cute! I know I have probably mentioned that I love this before but now I have actually started a piece and I love it even more! I have been collecting crewel wool from the thrift stores for awhile now and I finally saw something that made me want to start embroidering immediately. I'm working on my own version of it and I can't wait to finish! 2. These wooden Twin Peaks brooches! A blog reader (thank you Janey!) sent me a link to this blog that was talking about brooches from this shop. 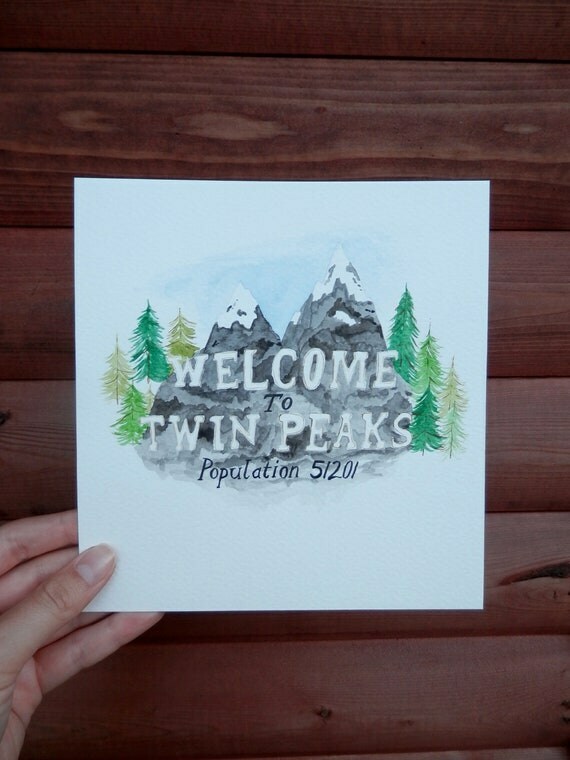 The shop is Katie's Little Store and these Twin Peaks brooches are not in stock at the moment but this pretty painting is! I am such a sucker for anything Twin Peaks. 1. 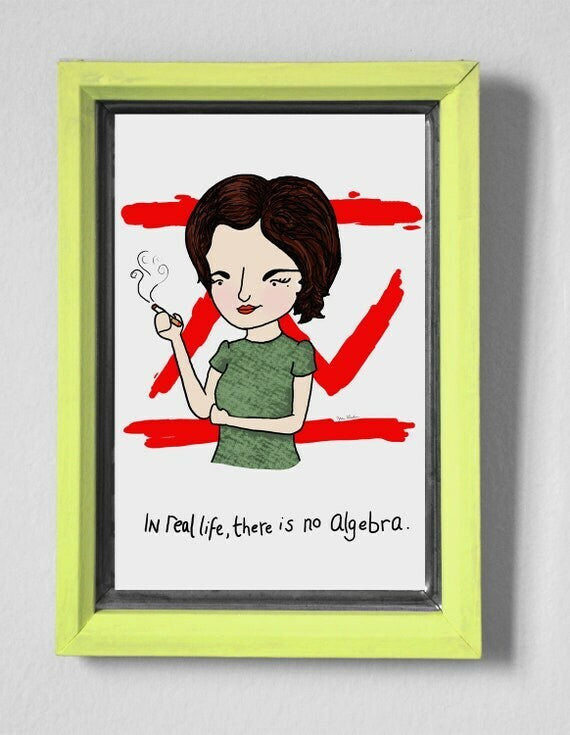 And speaking of Twin Peaks. Today I am at my mom's baking and she has no internet which is super weird. At least I have my phone if I need to look something up! 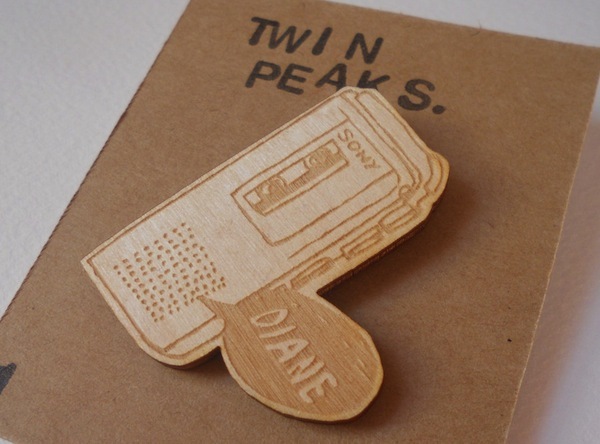 These wooden Twin Peaks brooches are in fact really pretty! Thanks for that post! AHH! Your twin peaks goodies are so perfect! I need some! I also need to make myself a tie like that for my collared dresses. I always like your link-ups and now I have to watch twin peaks, I've never seen it! I have been really wanting to get into embroidery! I love the vintage-y homemade feel that it gives to everything. I love the idea of embellishing the bottom of a skirt or the rim of a sun hat. I wish I could pull of glasses like that! - And maybe i should start watching Twin Peaks on Hulu? - It sounds a lot like The Killing. Those brooches are so ridiculously cute! 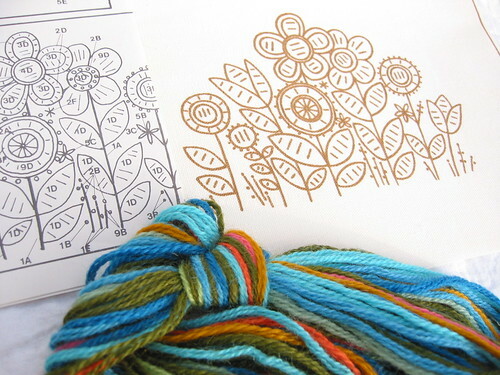 I don't have enough patience for embroidery myself, but that design is gorgeous! That dress is so amazing! The tie is a dream. My mom did crewel embroidery when she was younger. With all of these embroidery posts I'm seeing around blogs lately, I really want her to teach me!